The Eddie Melo Legacy Organization will bring together some of Toronto’s Greatest past and present boxing legends in support of at-risk youth. 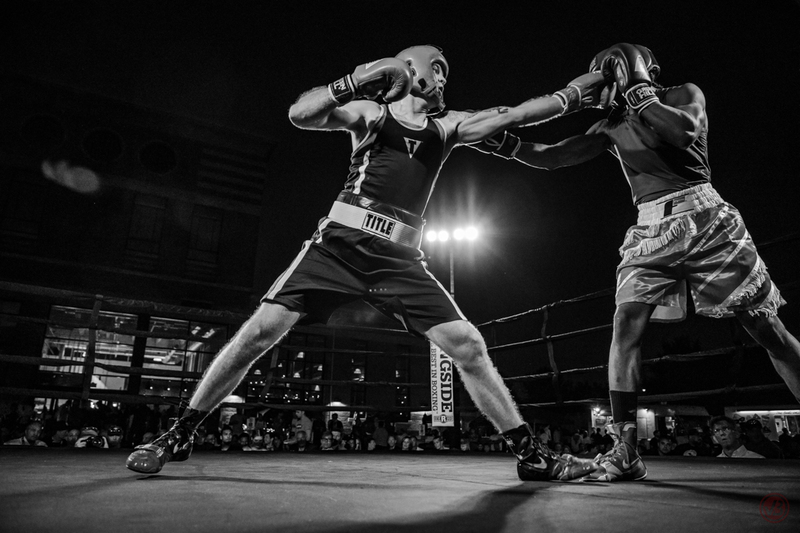 Boxing has an incredible way of connecting people in a deep and profound manner. Maybe it’s the intensity of the training, the dedication required or simply the type of people that the sport attracts. Whatever the cause, the strength and respect within the boxing community is undeniable. It is a community that understands, respects and reveres its history and those that came before. It’s a community that doesn’t care if you’re a former or current champion, a kid trying to find their way or an executive that trains whenever their schedule allows. We are all part of the community; We are all boxers. From the first time I stepped into a boxing gym almost 20 years ago I have heard the words “boxing made me who I am today”. Although I didn’t really understand it then, I know those words are true for me today. Boxing has given me so much professionally and personally, I can’t imagine who or where I would be without the sweet science. Beyond my own experience, I have witnessed the transformative effects of boxing on countless lives. I have seen children walk through the doors of my gym, too nervous to make eye contact, become smiling, laughing beings with a sparkle in their eyes after 10 minutes of throwing punches. I have seen a CEO, who never climbed a set of stairs, become a legend in the ring. I have witnessed a boxer lose every round of a fight, and somehow find the strength and courage to stop their opponent in the last 10 seconds of the final round. Three months ago, I received a call from the other side of the country. The young woman on the other end of the call introduced herself as Jess Melo, a family name familiar to most every Canadian boxing enthusiast. Over the course of the call, Jess spoke to me about the Organization she had launched to honour her father and the boxing legends she had recruited to help. 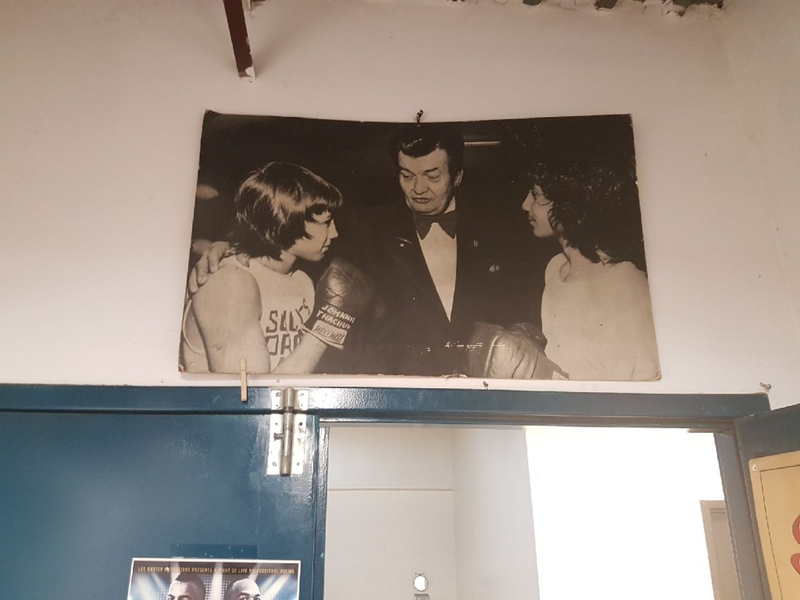 Later that day as I walked around my gym, looking at the posters that adorn the walls I began to notice there in print all the names Jessie had mentioned during our call; truly a collection of boxing legends. 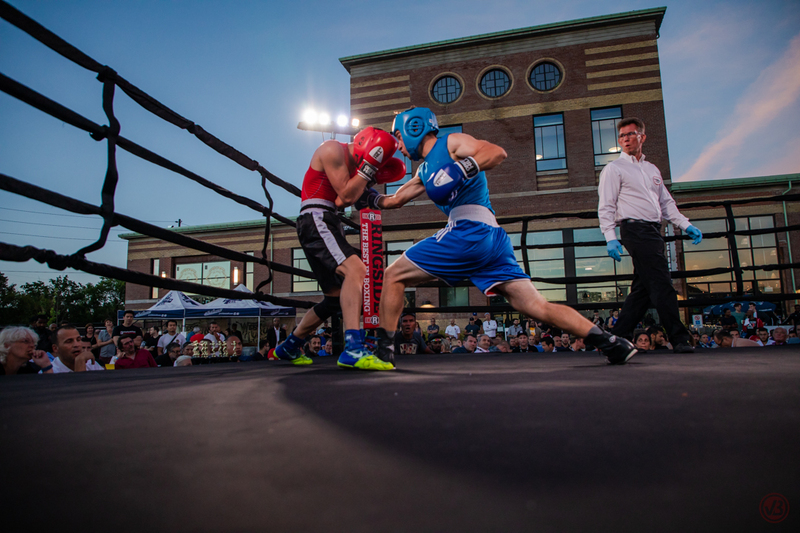 Fast forward to this past weekend and Friday night found me referring a card of amateur matches outside under a blanket of stars on a perfect summer night in front of a knowledgeable and enthusiastic crowd that included a long list of boxing legends. Saturday afternoon I was back in my gym, sharing the ring with the same laundry list of boxing legends that included George Chuvalo (5x Canadian Champion & World Heavy weight Contender), Nicky Furlano (3x Canadian Boxing Champion and World Super Lightweight Contender), Billy Irwin (Canadian & IBO World Boxing Lightweight Champion), Mark Simmons (Canadian Olympian), Iran Barkley (5x World Boxing Champion), Junior Jones (5x World Boxing Champion), Mark Breland (Olympic Gold Medalist & 2x World Welterweight Champion), John Scully (New England Middleweight Champion and former Light Heavyweight Contender), Tom Patti (Amateur Boxing Champion, Advocate & Politician) and a few others. Watching these accomplished athletes work with a collection of young boxers, I was awed by the strength and beauty of this community that I am so proud and humbled to be part of. 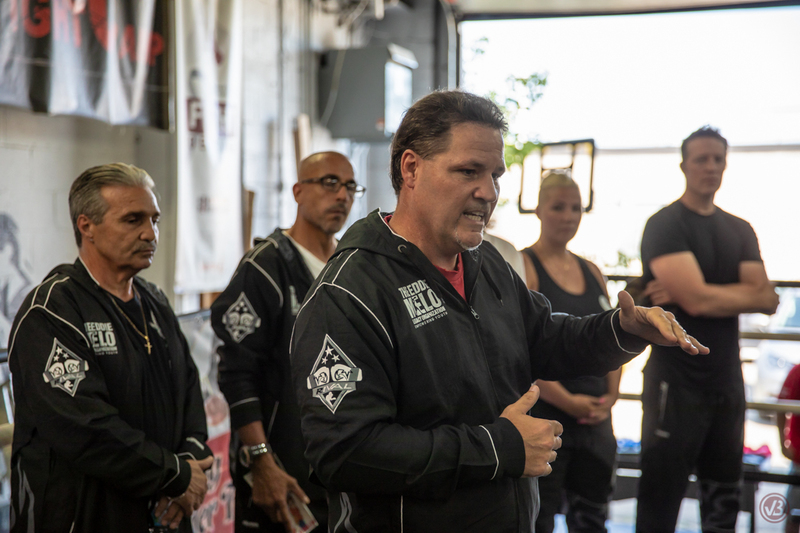 Following the training sessions, each of the legends in attendance said a few words, all of which were inspiring and heart-felt and centered around a common theme: Boxing made me who I am today. Both events were in support of the Eddie Melo Legacy Organization. 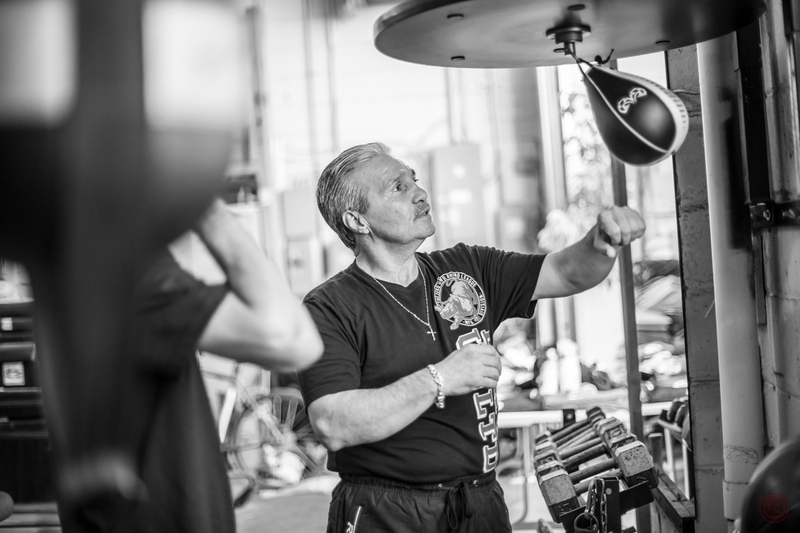 The organization, founded by Jessica and Joey Melo, daughter and brother of the late Eddie Melo, is dedicated to helping young at-risk amateur boxers experience positive influences and sociability and to help keep them off the streets and in the boxing gym. As well as children who have lost a parent due to a homicide; this is a platform for giving back to them and sponsoring them through anything that can help lessen the burden and give them support during such a tragic time. In addition to raising the awareness of The Eddie Melo Legacy Organization, the event on Saturday announced the inception of the Eddie Melo Legacy Mentorship Program. The program will use the organization’s unprecedented access to boxing legends to enhance amateur boxers’ aspirations in the sport with an acute attention to their social development, education and future. I could go on for pages describing the honour and privilege of sharing the ring with the incredible collection of boxing greats, but I think the impact of the event is best described by the words of a mother who attended with her children. 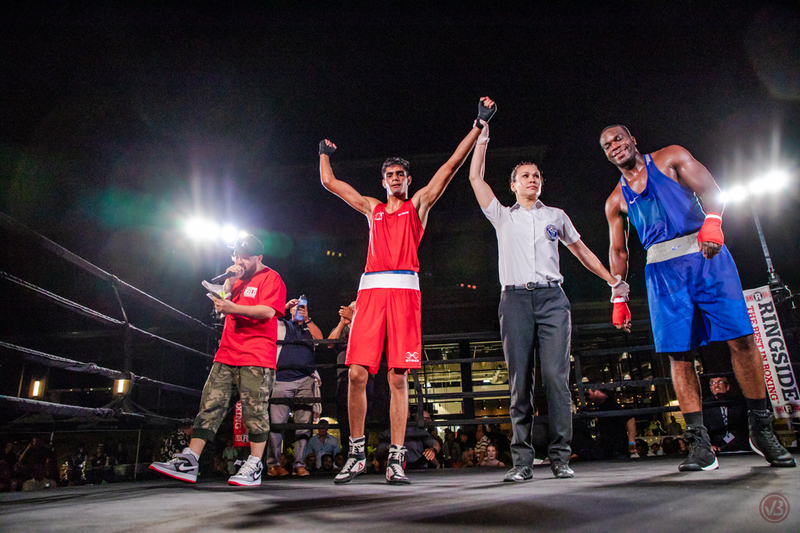 Mark Smither (Uptown) vs Jamil Haadi (Rochester) put on an incredible show at the inaugural Eddie Melo Legacy Organization Boxing Invitational at the Junction Craft Brewery in Toronto. 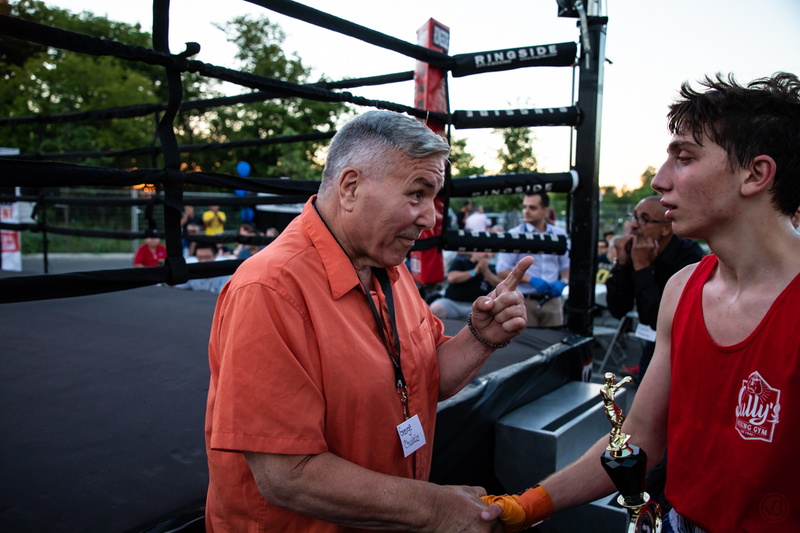 Boxing Legend, George Chuvalo gives amateur boxer, Tamas Glonczi of Sully’s boxing gym some words of advice after his bout on Friday Night. 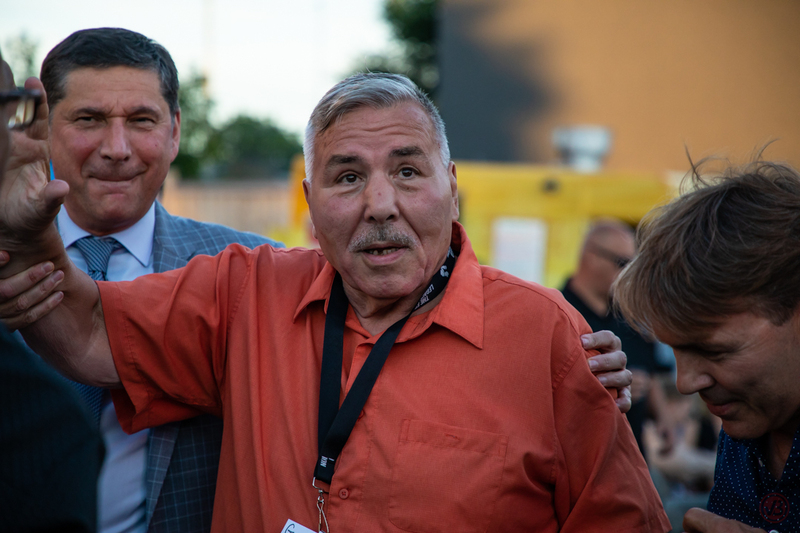 George Chuvalo, five-time Canadian Heavyweight Champion, is constantly investing back into his community and the sport of boxing. Just shy of 81 years old, Chuvalo makes ut out to support nearly every pro and amateur show in Ontario. 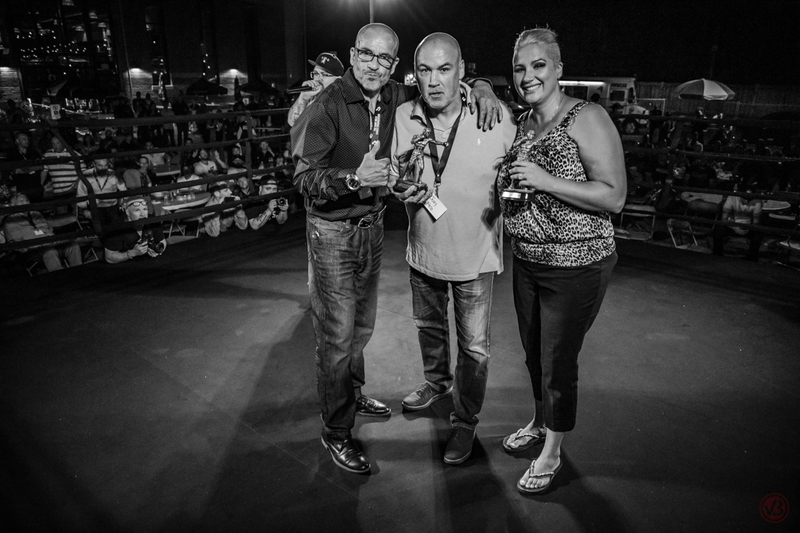 Eddie Montalvo, Joey Melo and Jess Melo (left to right), are dedicated to helping young at-risk amateur boxers experience positive influences and sociability and to help keep them off the streets and in the boxing gym. Boxing Legend John ‘Iceman’ Scully spoke to the youth attending The EMLO Media Orientation with ‘The Champs’. Boxing Legend, Junior Jones, worked pads with Kingsway Boxing youth boxer and coach, Jasper Drost at The EMLO Media Orientation with ‘The Champs’. Boxing Legend, Nicky Furlano gave a speed bag lesson along with some valuable life lessons at The EMLO Media Orientation with ‘The Champs’. Jessica Melo, Founder/Chairwoman of the Eddie Melo Legacy Organization and daughter of the late Eddie Melo, founded Eddie Melo Legacy Organization to support amateur boxers and children who’s parent(s) were the victims of homicide. Kingsway Boxing Club is located in the west end of Toronto, Canada. We operate out of two locations; The High Performance Studios and The Boxing Gym Facility. Having the two separate locations allows for a wide range of people, with varying interests to accomplish any goal. 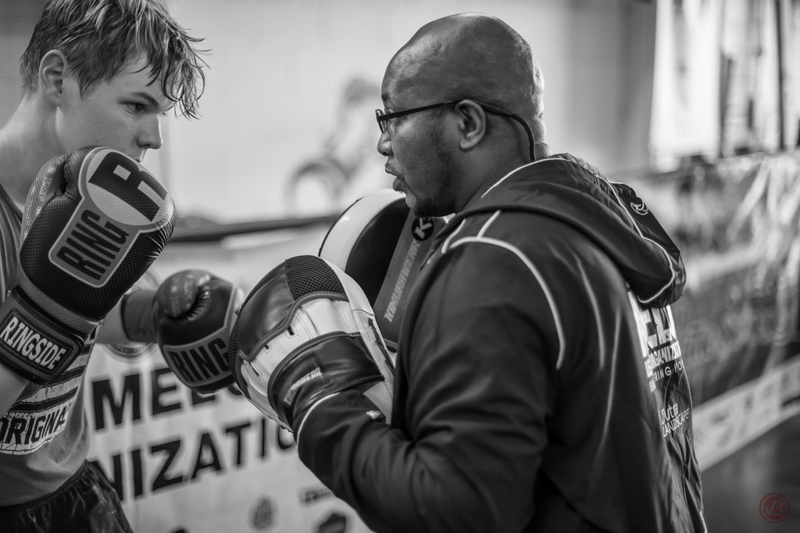 Kingsway successfully runs competitive boxing programs out of the Boxing Gym, while hosting a variety of fitness, recreational and high-performance athletic services out of both locations. Boxing is undeniably one of the top mentally and physically challenging sports. Many athletes, businesses and recreational sport enthusiasts use the sport as a cross training tool. It is a great sport to get into supreme shape, it is also a challenging, but amazing sport to take to the next level of competition. It’s our priority to invest into our community, helping to build mental, physical and emotional strength with each individual who walks through our doors. With programs for all ages and fitness levels, there’s no reason to wait!